SUBMISSION DEADLINE: Friday, January 14, 2011 Aboriginal Music Manitoba will be producing the third annual Aboriginal Music Week in Winnipeg from October 28 - November 5, 2011 and the organization is currently accepting applications from Aboriginal and Native American recording artists for performance spots. The Don Amero CD Release, presented by Aboriginal Music Manitoba, features performances by cellist Cris Derksen, adorable songwriter Sonia Eidse, JUNO Award winning party movers Digging Roots, and 2009 Male Artist of the Year Don Amero. The doors open at 9pm and the party goes till 2am. Tickets are just $10 and this our last event of Aboriginal Music Week 2010. The Friday Night 49er, presented by Grassroots News, kicks off with a performance by innovative Inuit throat singer Tagaq at 1030pm, followed by a set by rocker Colette Trudeau, and victory celebration with Winnipegâ€™s Most, and a crowd moving performance by JUNO Award winning Burnt-Project 1. The doors open at 9pm and the tickets are just $10. The Strings & Starr Concert, presented by CBC Radio One and CBC Radio 3, brings Kinnie Starr back to the West End Cultural Centre for a night of great music. The concert begins at 7:30pm with a â€œsongs-in-the-roundâ€ presentation with cellist Cris Derksen, flamenco-style guitar player Gabriel Ayala, and classical guitarist Jason Tuesday taking turns entertaining the audience with innovative stringed compositions. Tickets for the show are just $5 and families are welcome to attend the show. Hip Hop Night, presented by CBC Radio One and CBC Radio 3, features performances by Crown P, Lorenzo, and 2010 APCMA frontrunners Winnipeg's Most. Tickets are just $5, the show starts at 730pm, and it all goes down at the West End Cultural Centre in downtown Winnipeg. 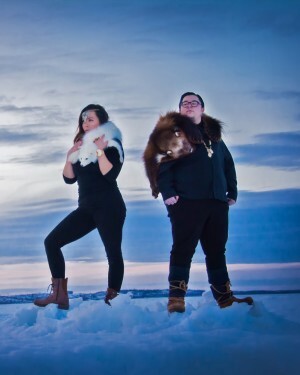 The Aboriginal Songwriters Concert, presented by CBC Radio One and CBC Radio 3, features a songwriting circle with Sonia Eidse, Stu Porteous, Mark Nabess, and Bonnie Couchie. Anishinabe blues legend Billy Joe Green will headline the night and tickets are just $5. The show starts at 730pm and it all goes down at the West End Cultural Centre in downtown Winnipeg. The Halloween Bash, presented by Visual Lizard, features performances by 2009 Aboriginal Peoples Choice Music Award breakout Inez, MÃ©tis country star-on-the-rise Jerry Sereda, and Aboriginal music legend Percy Tuesday. Cash prizes are also up for grabs for the top three costumes and DJ Rahdil will be moving the crowd in between performances. Weâ€™re presenting some great artists this year and it all starts with the MÃ©tis Jamboree, presented by Travel Manitoba, on Friday, October 29. Check the videos below for a taste of what youâ€™re going to see at the Skyview Ballroom for this event. Winnipeg, MB â€“ Aboriginal Music Week 2010 (AMW2010) is set for October 29 - November 6 in venues throughout downtown Winnipeg. Eight concerts and one film event are on the agenda for the second annual music festival. Year 2 of Aboriginal Music Week features an expanded slate of concerts, a new conference for Aboriginal presenters, and a great film event. The website has also been improved and festivalgoers will be able to purchase and print their concert tickets from www.aboriginalmusicweek.ca.